The Microsoft Store, formerly the Windows Store, is Microsoft’s hub for downloading apps made for Windows 10. While you probably install most of your software from outside it, the Store still has lots of great apps. And thanks to its ubiquity, it has a few handy features like centralized updates. Up until recently, you could only install apps from the Store from your device directly. Recently, Microsoft has added a new feature that lets you install Store apps on any of your devices. 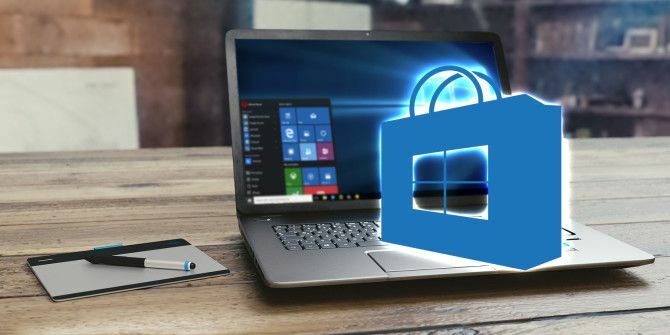 This takes advantage of using a Microsoft account with Windows 10 The Pros and Cons of Using a Microsoft Account with Windows The Pros and Cons of Using a Microsoft Account with Windows A single Microsoft Account allows you to log into a wide range of Microsoft services and apps. We show you the pros and cons of using a Microsoft Account with Windows. Read More to keep all your devices in sync. Here’s how to give it a try. While this is a feature of the Microsoft Store, it actually doesn’t work through the Store app in Windows 10. Instead, you’ll need to visit the Microsoft Store page of the app you want to install through your browser. This isn’t limited to just Edge; we tested it as working in Chrome too. Head to Microsoft’s Store on the web, sign into your Microsoft account, and search for the app you want to install. Note that you must already own the app you want to install on other devices. You’ll see a Get button if you visit an app you haven’t downloaded yet. But on an app you own, you’ll see a three-dot button next to the Install/open button. Click it, then choose Install on my devices. You’ll then see a window that lets you check all the devices you want to install that app on. Choose Install now, and the app will download on each device that’s online. Now when you find a great app, you can install it everywhere and save time! Having trouble with the Store? Check out our troubleshooting tips for the Windows Store and its apps How to Fix the Windows Store and Its Apps in Windows 10 How to Fix the Windows Store and Its Apps in Windows 10 Ever had problems in Windows 10 with opening the Store or one of your apps? It's a common issue and we've rounded up steps to help you fix it. Read More . Explore more about: Windows Store, Windows Tips.